clothing Archives - Do You Speak Gossip?Do You Speak Gossip? Happy New Year everyone! May 2017 bring you everything your heart desires. Hopefully it will be a much better year than 2016. Let’s move on to the wishlist though. 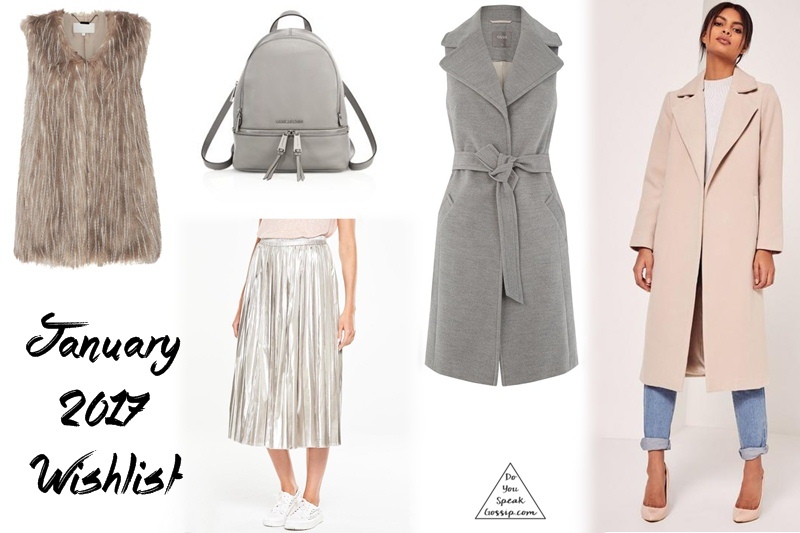 This month’s wishlist is filled with neutral colors, and mostly outerwear, because you can say that I’m officially obsessed and I want to have more in my collection. You already know how much I love gray and pastels, now you know that I also love metallics in some forms at least. Would love to have every piece of this wishlist in my closet! Oh pretty please! Aren’t they amazing? What women love the most, apart from jewellery and cosmetics is clothing and accessories. And I personally believe that they’re underestimated as gifts, because you rarely get a clothing piece as a Christmas present, and it’s something I would love as a gift. So today’s gift guide is focused on just these 2 categories. Outerwear is very important in winter, so I made sure to include 3 options for your lady. Depending on her style, she’s gonna love them! I personally loved the pink one, and it goes amazingly well, with those cute sneakers by Adidas. Of course I couldn’t leave behind items from my latest favorite brands, so I chose a parka by Only, which is a perfect and useful gift for the season, and a biker jacket & a backpack by Moony Mood. Backpacks are very popular lately, but if your lady is more on the chic side, I’ve got you covered with this Love Moschino bag. Pretty, right? And if sneakers aren’t her thing, then a low bootie is the best choice for you. It’s comfortable and perfect for every day. I’ll write down all the brands below, so make sure to check them out!